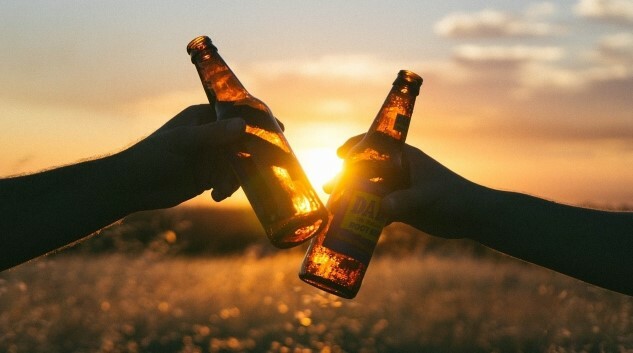 Evidence in the historical record assures us that beer drinking has been around four thousands and thousands of years after being invented in the fertile crescent. Historians know this from simply studying the earliest texts and depictions of the time, which routinely reference beer or depict its consumption visually. Ah, but actually finding physical, chemical evidence of ancient beer? That’s a harder nut to crack. However, a team of archaeologists employing new techniques have done exactly that, tracking down what they’ve determined are beer residues in Mesopotamian clay cups that are almost 2,500 years old. The site, in modern day northern Iraq, shows all the signs of having produced copious amounts of ancient beer. As scientists, this is what the researchers live for—the discovery of physical evidence that supports the iconography previously discovered that marked beer as an important part of Mesopotamian life. Many references to beer in this period still exist today; most famously the “Hymn to Ninkasi” dated to roughly 1800 BC, which is a poem that takes the form of a meticulous beer recipe praising the Sumerian booze deity. Of course, this is just a beginning. Using the same new techniques, Gatz and Perruchini hope to discover much older chemical evidence of beer consumption. Some physical evidence already exists of beer consumption as early as the fourth millennium BC, in present day Iran, where archaeologists found something referred to as a “beerstone,” which is a byproduct of fermentation that can be viewed on ancient clay materials. But using the newest techniques, perhaps the researchers will be able to determine when organized brewing began in earnest. Of course, the real question is: What was this beer like? What did it taste like, and how was it consumed? Well, we hate to burst the bubble of any hazy IPA-loving modern beer geek, but hops certainly weren’t involved in the brewing process. In all likelihood, Sumerian beer was likely a mildly malty, somewhat sweet beverage that provided essential nutrients achieved during fermentation. It would have been consumed quickly and greedily to avoid spoilage in an age with no refrigeration, but we can only imagine that the Mesopotamians enjoyed kicking back with a cold one—well, a tepid one, anyway—as much as we do now. You can read more on the science behind the discovery via The Smithsonian’s feature.